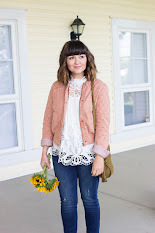 If you have been reading my blog for a few years now, then you know that I love Halloween and coming up with fun costumes. 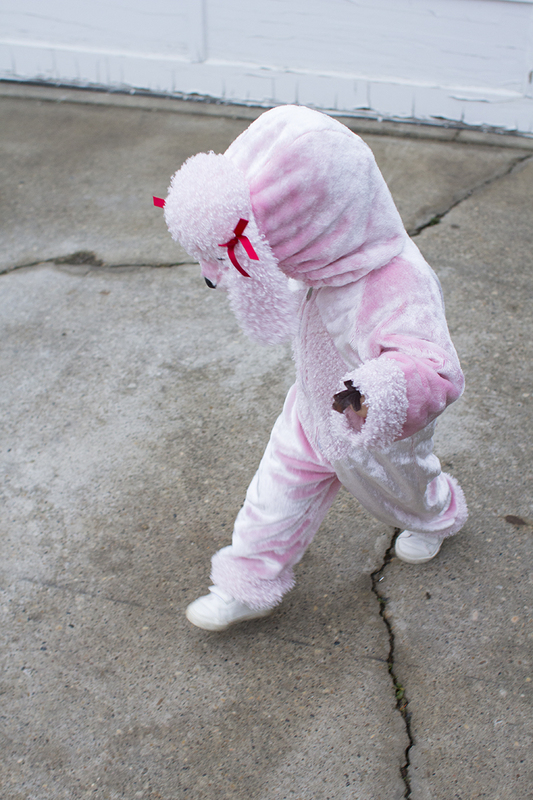 Halloween is especially fun now that I have a toddler to dress up. I was really stumped for ideas this year, so I went searching to Value Village for some inspiration. I usually go there searching for costumes, props and more. I love how they have such a huge Halloween section, even just a few days ago when I went there was tons of stuff left. 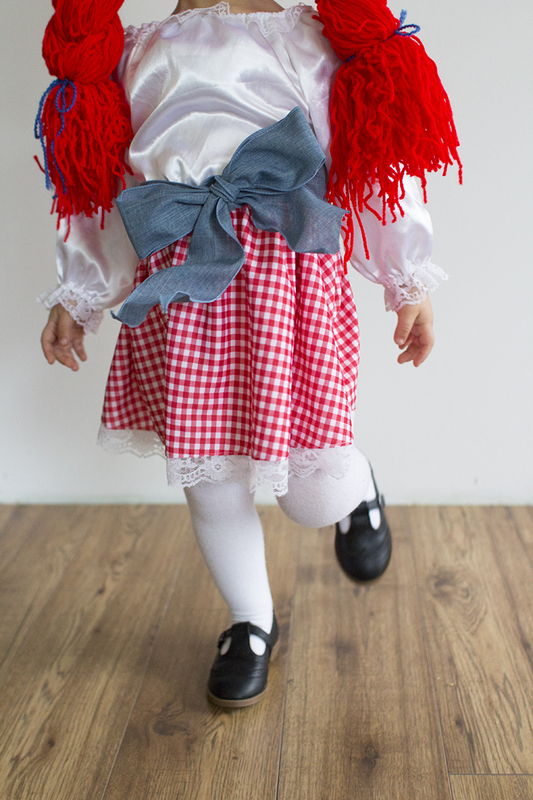 They have equally huge sections of brand new costumes for all ages and second hand costumes. Including make-up, accessories and decorations. I went searching in the kids section and found some gems, that just needed a few little touches. 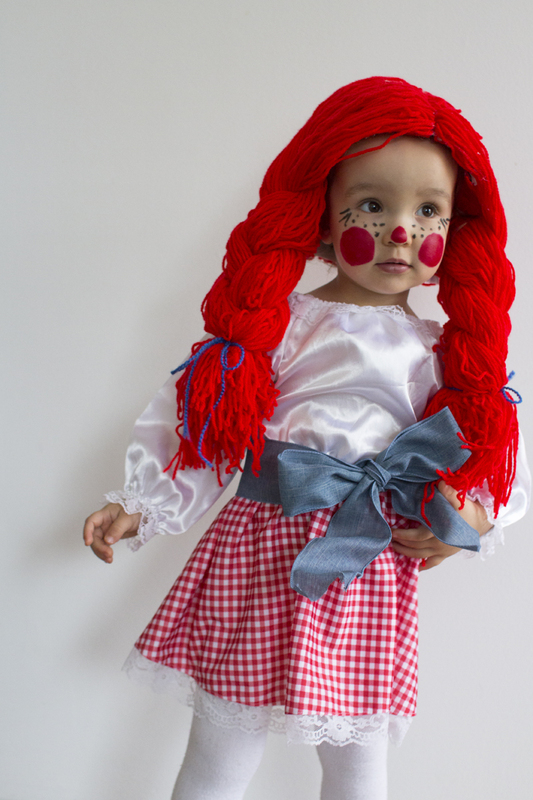 Lets start with the most time consuming costume (but not even that bad) Raggedy Ann Doll. 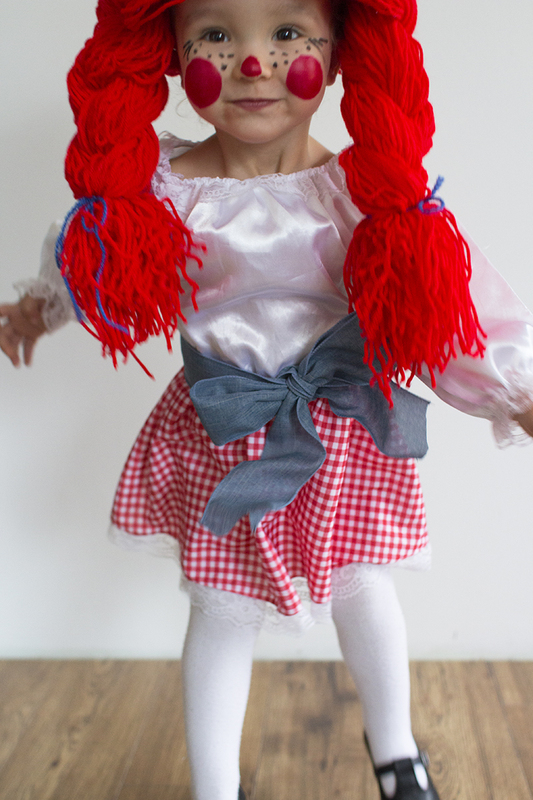 My Mom let me play with her Raggedy Ann Doll when I was younger, so as soon as I saw this little dress I immediately thought of it. All it needed was a few extra touches. I went searching for red yarn for the wig, and found a huge bag of it for less then $5. I actually always get my yarn for crafts from Value Village, brand new yarn for such a good deal. I took the yarn and ended up hot glueing it onto an old beanie of Emery's to create the wig. 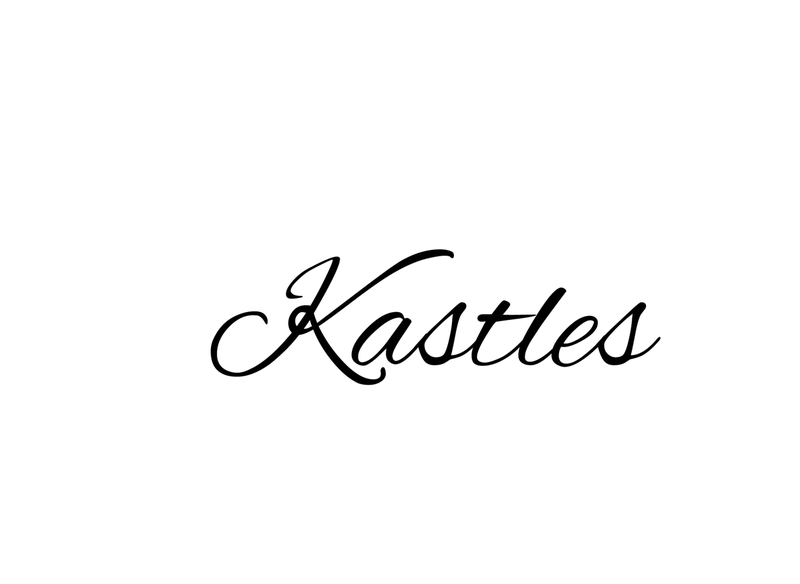 This was the time consuming part, it took about an hour. The glue does make the beanie super stiff, so in order to get it onto her head I had to cut slits on either side of the beanie. I thought braids would be fun, so I just created two big braids and tied them with some blue yarn. 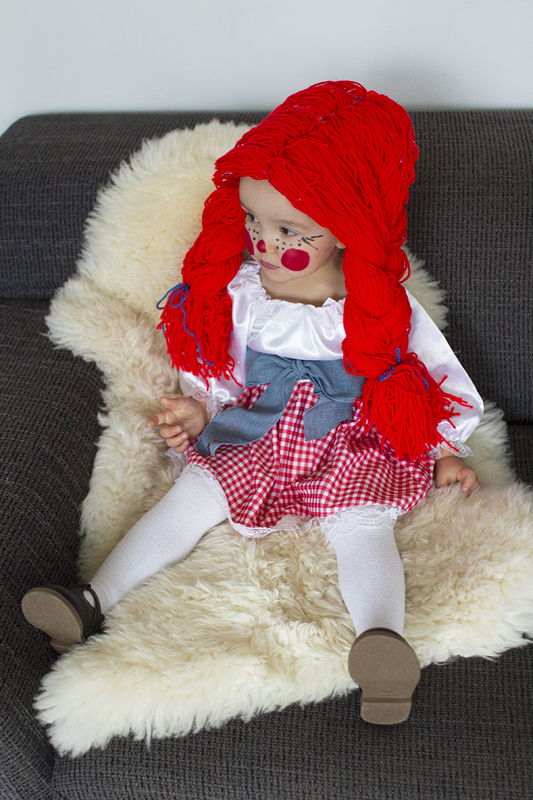 I already had white tights and black shoes for her so that was easy. I had some blue ribbon laying around so I tied it around her waist into a big bow for a fun touch. Now I was worried about doing her makeup since she has never had her face painted before. She was actually really into it! Taking it off was another story, haha! I just used some red lipstick of mine for the nose and cheeks and a black eyeliner pencil for the freckles and lashes. FYI I used a baby wipe with coconut oil to get it off, it worked pretty well! 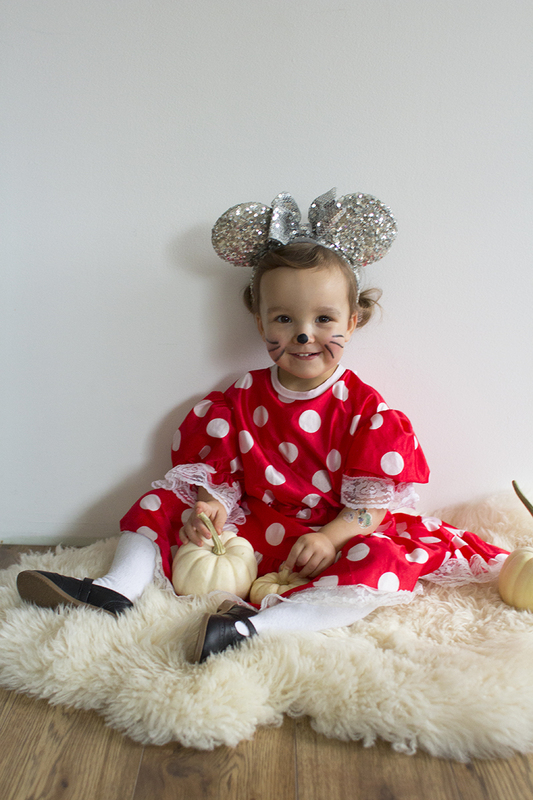 For some reason Emery has been obsessed with Minnie Mouse lately, so this costume was perfect. 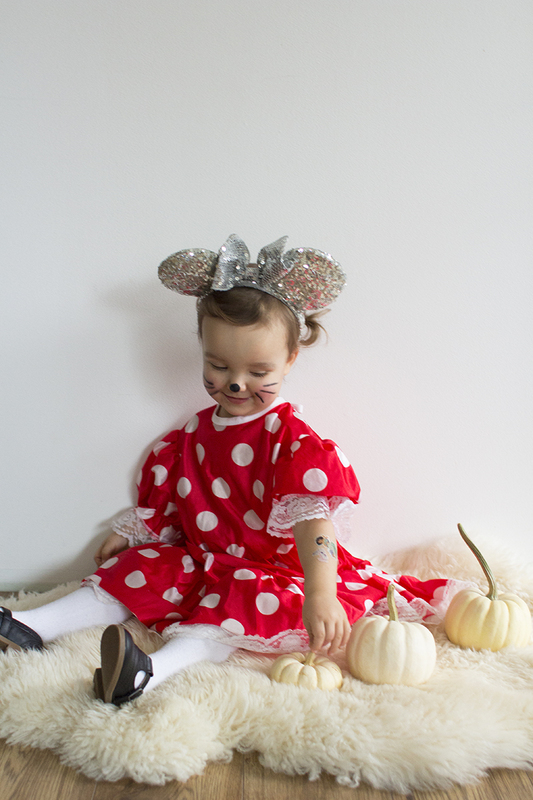 As soon as I saw this little polka dot dress, I knew it was perfect for Minnie. 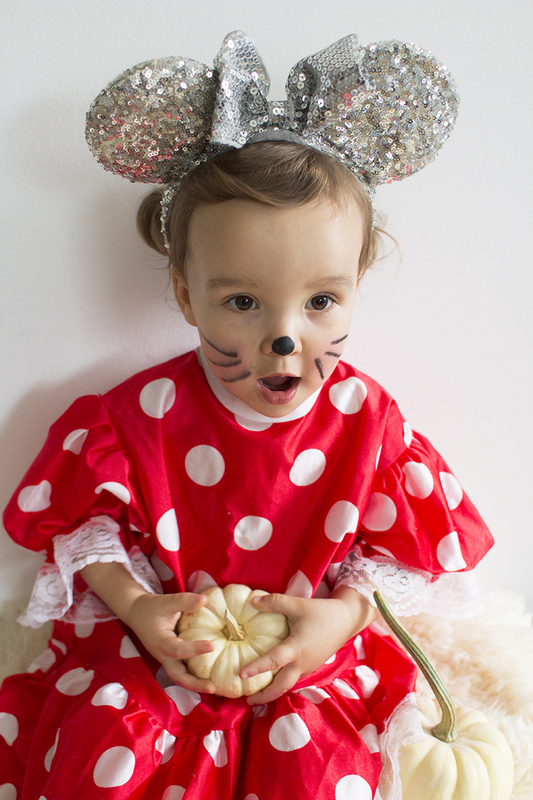 This costume was a little bit easier because I already had these Minnie Mouse ears from Disney World at home. I did see lots of Mickey and Minnie Mouse ears at Value Village, as well as cat ones. 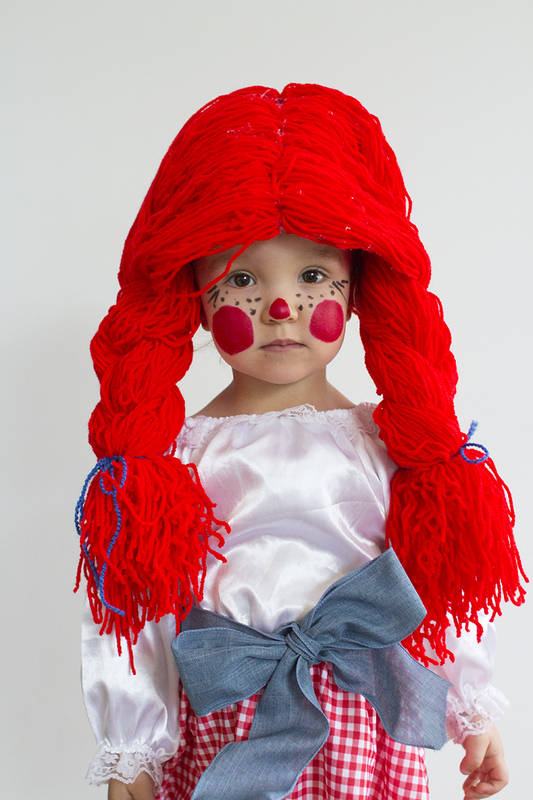 You could also create some by using an old head band and some black felt. 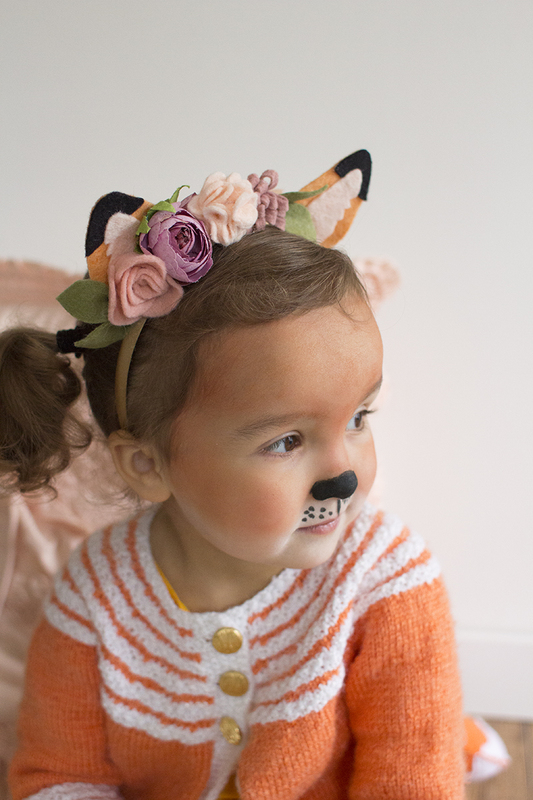 This make-up was a little bit easier, all she needed was a little nose and whiskers. Minnie Mouse in action! 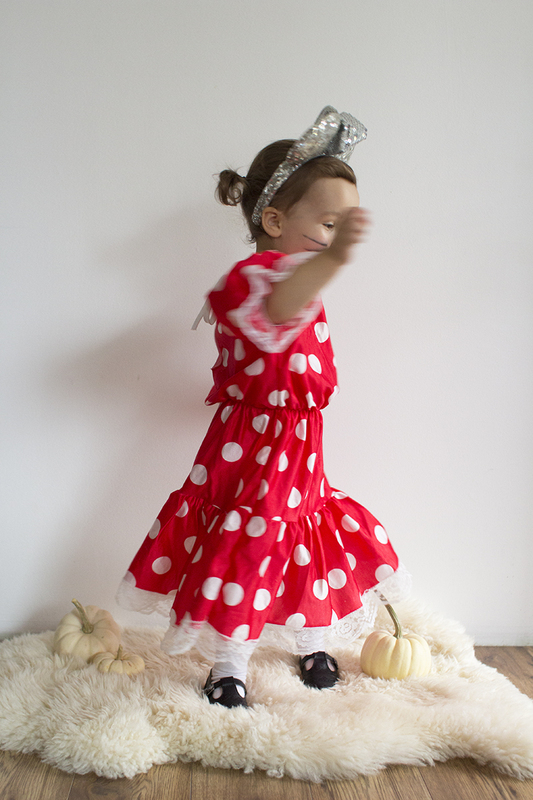 She loved twirling in this dress! 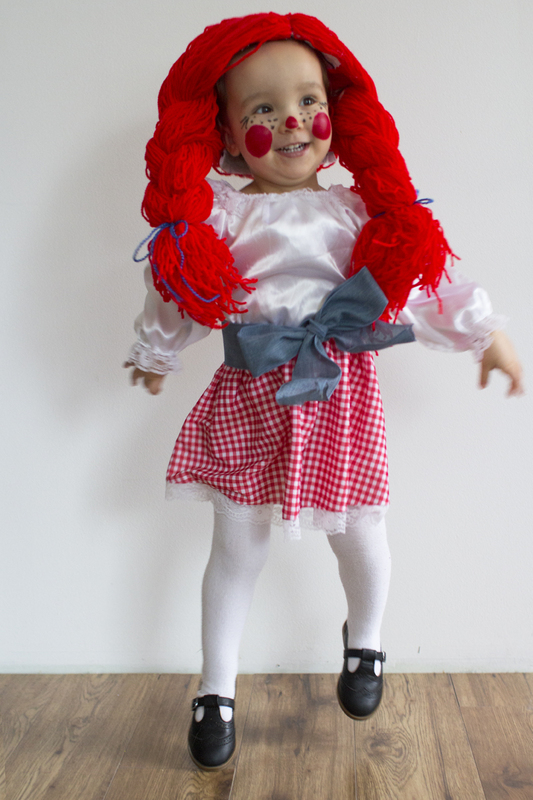 I used the same tights and shoes as the Raggedy Ann costume which was a bonus. Not really sure why she thought this Pumpkin would be tasty? Haha! 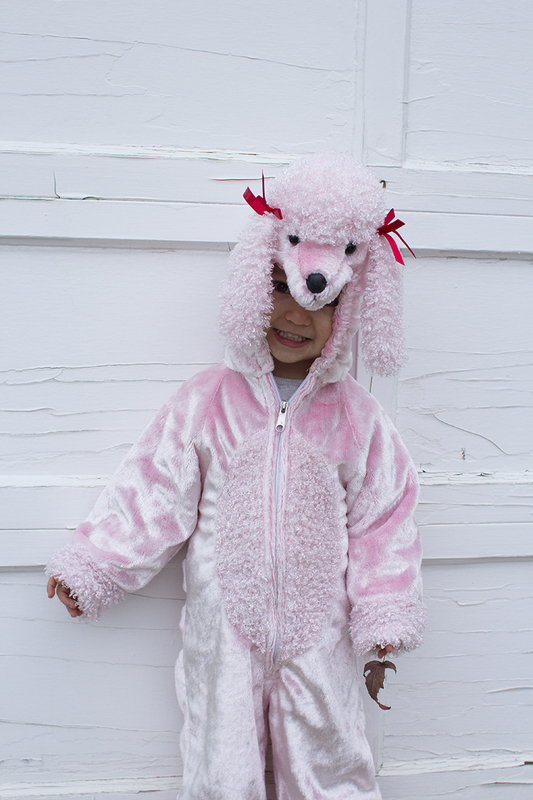 As soon as I saw this poodle costume, I knew Emery would love it. She absolutely loves dogs! 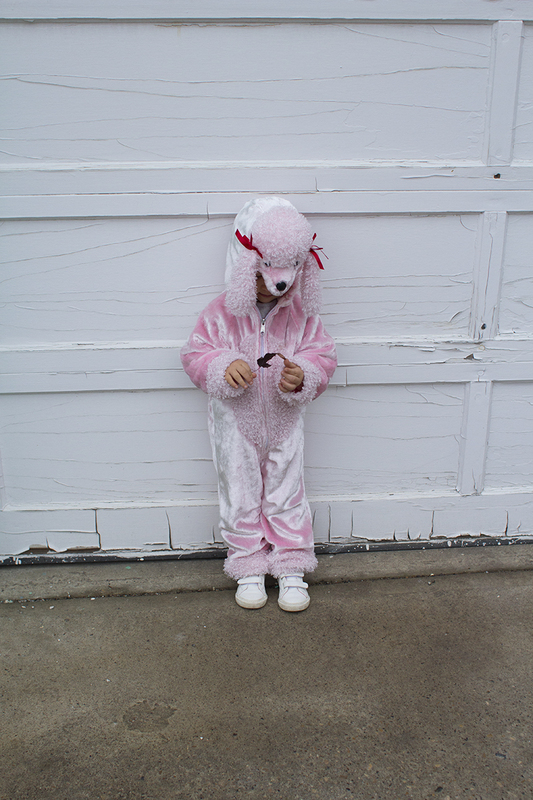 This is the easiest costume by far, all I had to do was zip her up in it! If you follow me on Instagram and watch my stories, you will seem Em has pretty much been wearing this non-stop since we got it, haha! 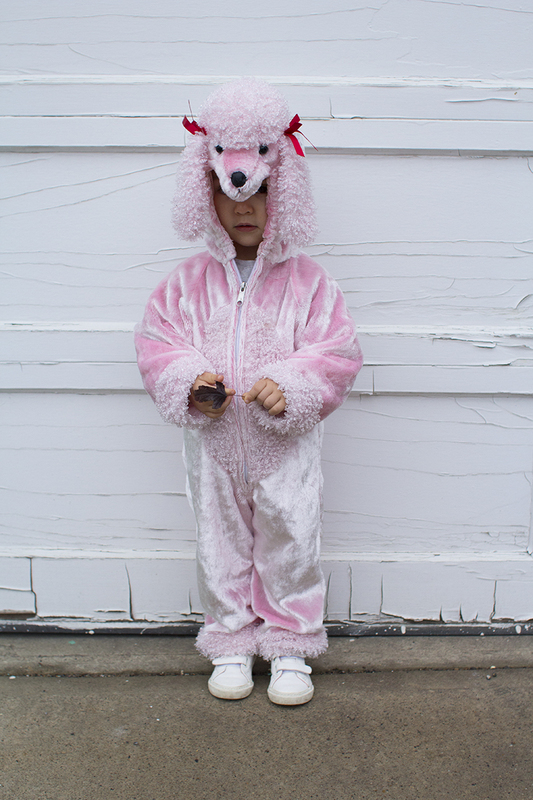 This will most likely be the one she wears Trick-or-Treating since we live in Canada and it will mostly likely snow, haha! 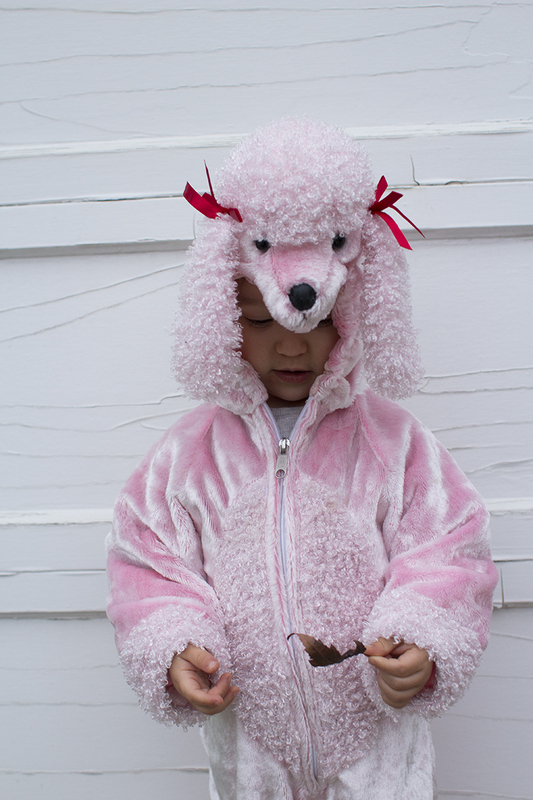 It's a great costume for layering, so she can stay nice and warm. Emery is really into dressing up these days so for Christmas we are going to make her a little wardrobe with dress up clothes. I will be keeping these to put in it. I also grabbed a few princess dresses & a hat for less then $10 to add. 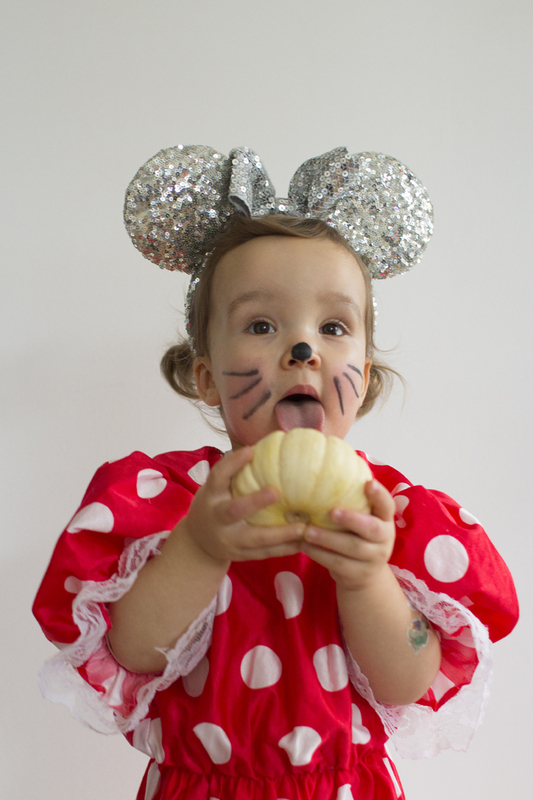 I would highly recommend checking out the costumes for your toddlers dress up bin! Which costume was your favourite? I'm obviously biased and think she looks adorable in all of them! Hahaha! Also please tell me what your dressing up as!